I'm a consultant, which means I'm on the road four days/three nights a week. I want to give McDonald's a shout-out, because they offer a few choices that make it easy for me to eat healthy on the road. 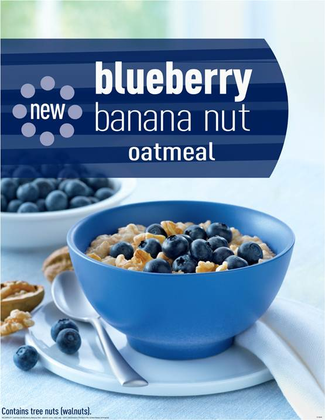 I love their blueberry oatmeal, which has fresh plump blueberries mixed into the oatmeal. The choices you make dictate the life that you live, and I try to make good food choices more often than not!